It is our choices Harry, that show what we truly are, far more than our abilities. Original codes were kunzite1's version of halffling's template. Slight modifications by me, with the help of opal_help and julzroguenine. • “Lethal White” available in paperback soon, pre-order now. • Weekly Round-Up: Ralph Fiennes Discusses Voldemort, Potter Trivia with Tom Felton, Rumors of ‘Fantastic Beasts 3′ Sighting & More! • Social Media Roundup: Spring Means New Beginnings. • “Cursed Child” Actress Noma Dumezweni to Star Alongside Kidman, Grant in “The Undoing”. • “Harry Potter and the Cursed Child”‘s Jenny Jules Discusses Hermione. • hp-iconchallenge: Challenge 7 - Weasleys. • hogwarts365: Prompt 288 - Due on or before 13th April. • hptriadsnet: April AU Challenge. • melissanelissa: Coffee Shop Prompts. • hp_drizzle: Signal Boost: Prompting is Still Open. • hp-iconchallenge: Round 6 Winners. • dracotops-harry: Posting for 2019 Fest. • hpwlwbigbang: Artist Sign-ups Now Open! • rsfixitfest: Sign Ups are Open. • wolfstarbigbang: Beta Readers Wanted, reach out on Dreamwidth or Tumblr. • hpsapphicappeal: Luna Lovegood/Ginny Weasley fic (G). • hd-collab: Premade Teams Can Still Sign Up! • hptriadsnet: Viktor Krum/Ron Weasley/Cormac McLaggen fic (T) posted for the April AU Challenge. • daily_deviant posted one Dean Thomas/Seamus Finnegan fic (E). • hogwarts365: Prompt 287 Masterlist. • dracotops_harry: Week 1 Round Up. 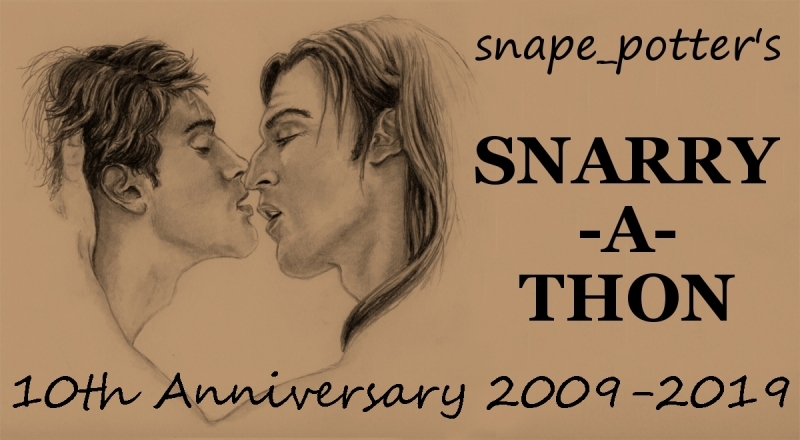 • one_bad_man recced one Severus Snape/OC fic (PG-13), two Severus Snape pirate artworks (PG-13), one Severus Snape fic (M), and one Lucius Malfoy art (G). • justdrarryme recced four Draco Malfoy/Harry Potter fics (various ratings). • ART, rated T: Ginny Weasley and Tom Riddle's Diary by hp-art-by-nanse. Beautifully chilling! I love the simplicity of the colors paired with the detail in the line work. • museinabsentia has started a multi-fandom Discord chat for finding and volunteering beta reader work, send a DM on Dreamwidth for more info. • hd_prophet: Saturday, April 6th, 2019 and Sunday, April 7th, 2019. • sshp_prophet: March 24 - April 6. • Thanks for Your Support! • Quantum Harry, the Podcast, Episode 34: Emperors, Fools and Angels. • “Reading, Writing, Rowling” Episode 22: “Transfiguring Adoption”. • Microsoft to Host “Harry Potter” Summer Coding Workshops with Kano Coding Kit. • bottom-draco posted a search for "The Dance of Passion’ by Adelina. As many of you may already be aware, several of my books are transitioning between publishers and have been unavailable for the past couple of months. I have good news on that front: new covers are being made and they are moving steadily forward toward their new publication dates! 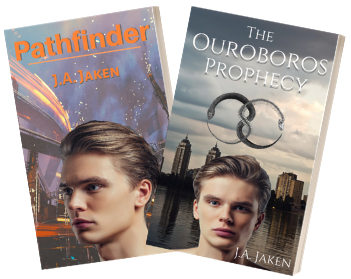 My m/m scifi novel Pathfinder will be the first re-release. I'm expecting it will be made available sometime later this month. I'll post more updates as soon as I know more! 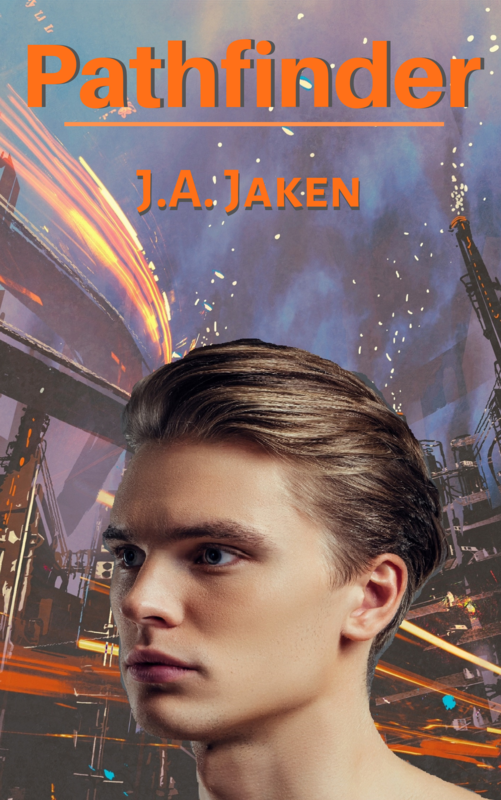 Shai discovers he is a pathfinder and is desperate to find a genetically suitable partner to prevent his extrasensory talents from running amok. Unfortunately those talents make him a target for the brutal crime lords and other violent denizens who inhabit the city of Nhil-Rhar. Shai needs to learn how to use his pathfinder senses-—no matter how much they terrify him—-before he's trapped in a partnership that will enslave him for the rest of his life. • “Castium Revelio: Gone in a Flash? • Review and Giveaway: Win the “HONEYDUKES™” Sweet Shop from The Bradford Exchange “Harry Potter” Village Collection!! Jander Teregnan has never wanted anything more than to become a mage--to serve his king and defend his country as he explores his natural talent at commanding the strange power known as magic. Of course every apprentice needs a master, which comes with its own set of challenges...especially when the master he's chosen for himself is none other than Andrei Teresh, personal advisor to the king and master mage of the city of Vallerin. Andrei, however, has more pressing problems on his mind than dealing with the unsolicited advances of one untrained mage-apprentice. A fierce and merciless army of unknown intent is sweeping across the land, threatening the kingdom he has sworn to protect. Even worse, dragons--long thought to have withdrawn from the world of mankind--are emerging once again and spreading chaos in their wake. Somehow, Jander must find a way to help; not only to prove that he can be of use in the defense of his kingdom and become a mage, but also to secure his place at the side of the man he hopes to claim as master both of his magic and his heart. The news reported last night, March 14th, that a meteor had a 80% chance of hitting in the next fourteen months and it would not be pretty. It would end some continents and countries to the point of destruction. Canada, North America and South America were all in trouble, effects would be felt for thousands of miles. People scoffed, yeah, right, not happening and now it's all they discuss with skeptism. Others, the doomsday sayers are positive it's coming. Some people are scared and hoping it doesn't happen, living in denial. We take ourselves to Heart's Grove, Colorado, with Love Grows Apartments. The residents there all have varying views, and it's close enough as an apartment unit that they're more or less running into each other to discuss things in their lives and the world politely or with easy friendship. The questions they're all asking themselves are "Should we move to different countries? Is there any way to stop this? Are we going to live past 2020?" It seems likely not. Love Grows is a GPSL with an allowance up to ten players, with unlimited allowance on characters. Love Grows aims to have plot, with plenty of downtime and free form roleplay for the writers. We are a real life game, using dangerous elements that happen real life as a means to give a sense of danger, instead of the usual slice of life. Love Grows aims to be different, hopefully challenging and allow writers to write the nitty gritty of their characters lives.